Love books? Love browsing? Or perhaps just want to clear space on your book shelves? Come to the Kliros Book Swap! Dispose of old books and browse for new ones! Nominal fee to bring and leave books or exchange for “new” ones. 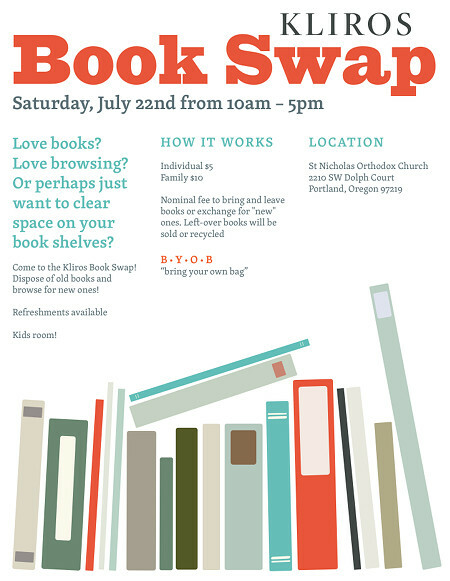 Left-over books will be sold or recycled. This entry was posted in fundraisers and tagged book, kliros, swap. Bookmark the permalink.